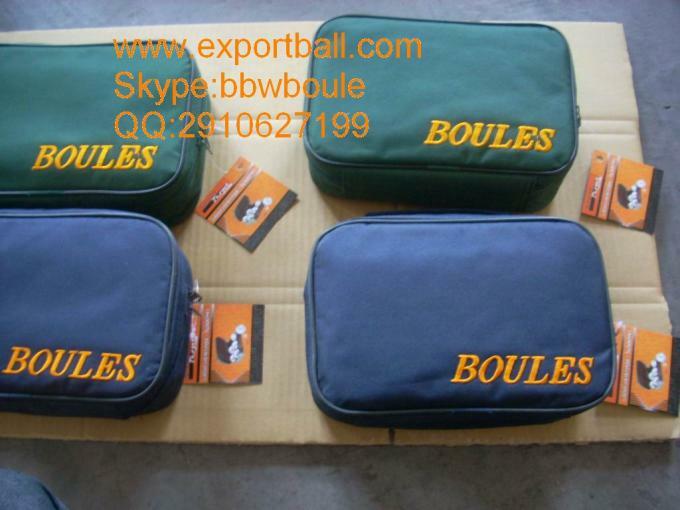 boules set, 6pcs balls in nylon bag. the bag can be in any color. each set including one small wooden jack and one plastic measuer with string. 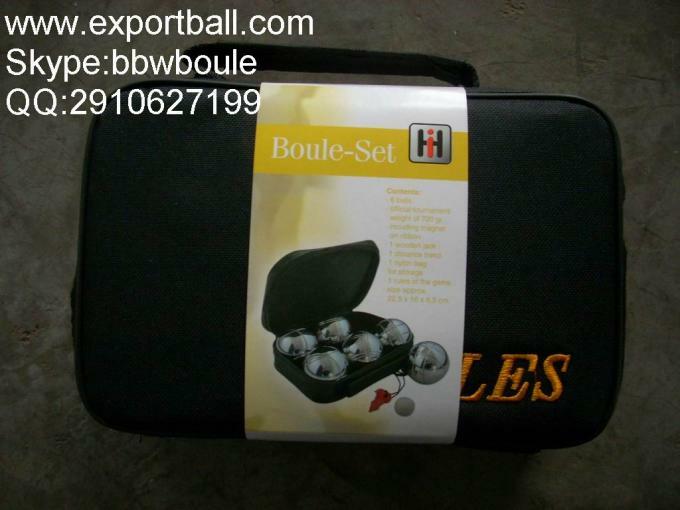 for 6pcs set, each 2pcs ball should be in same design which for 3 persons to play. 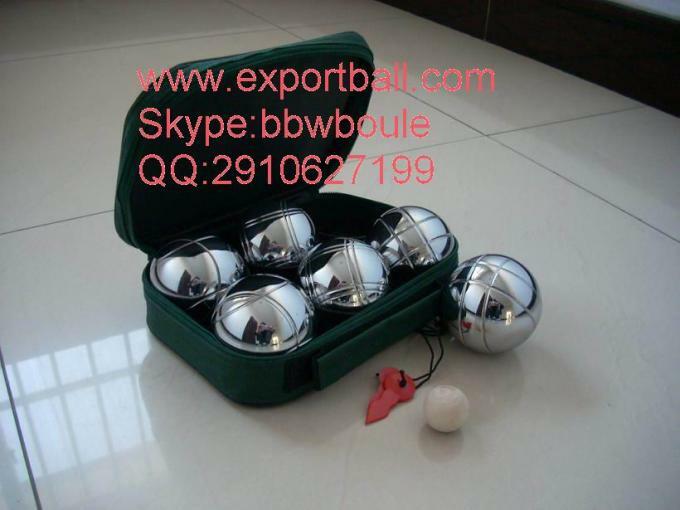 and also, can be 3pcs ball in same design which for 2 persons for playing. each set with instruction ( rules) . 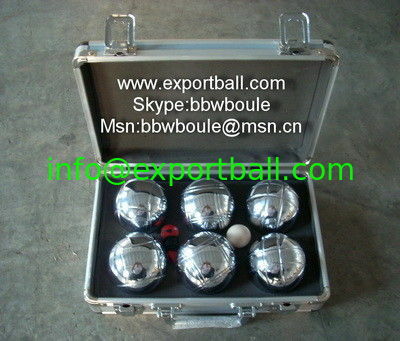 we also have wooden box with different sizes and color balls. we have a lot of similar products. we can make your logo on it. 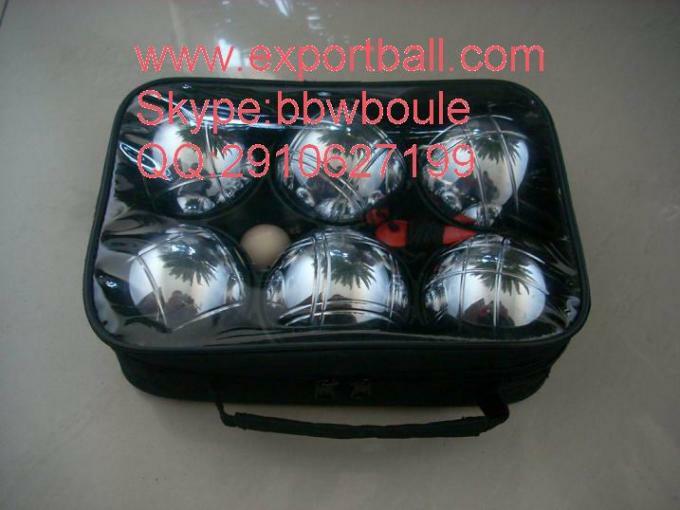 we do this product almost 20 years, we have rich experience,we can satisty your requirements. much more products on company website. please contact us for specific details.